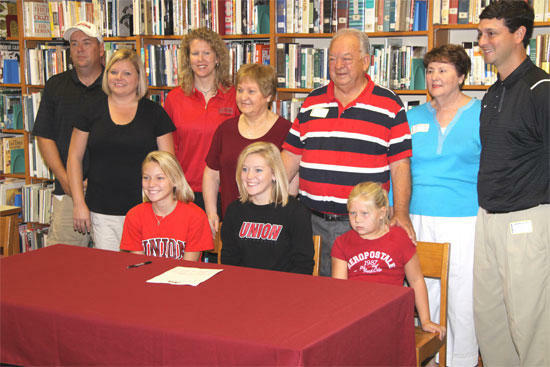 Cannon County High School girls basketball player Emily Sissom signed scholarship papers at the high school Thursday morning to continue her career at Union University. 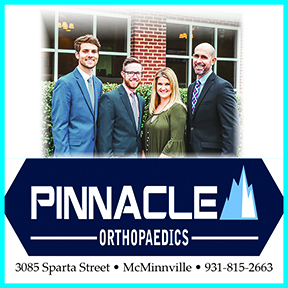 Those attending the ceremony included family members Gaylon, Suzette, Abbey and Anna Grace Sissom, Union University Head Basketball Coach Mark Campbell, CCHS Head Coach Michael Dodgen and Assistant Coach Katie Woodruff. Sissom averaged 17.8 points per game in 31 points games during her freshman year and 19.7 ppg. in 32 games during her sophomore season for the Lady Lions. She scored her 1,000th career point against Coffee Co. on Feb. 9, 2009. She was named to the District 7-AA First Team her sophomore season. Union coach Campbell announced the scholarship was worth $32,000 per year.